Introducing Intro Rust script with cyrillic typeface. It includes 4 sub-families – Intro Rust, Intro Script, Intro Head and Intro Goodies. It can be used to create almost all types of design projects like print materials and web design. 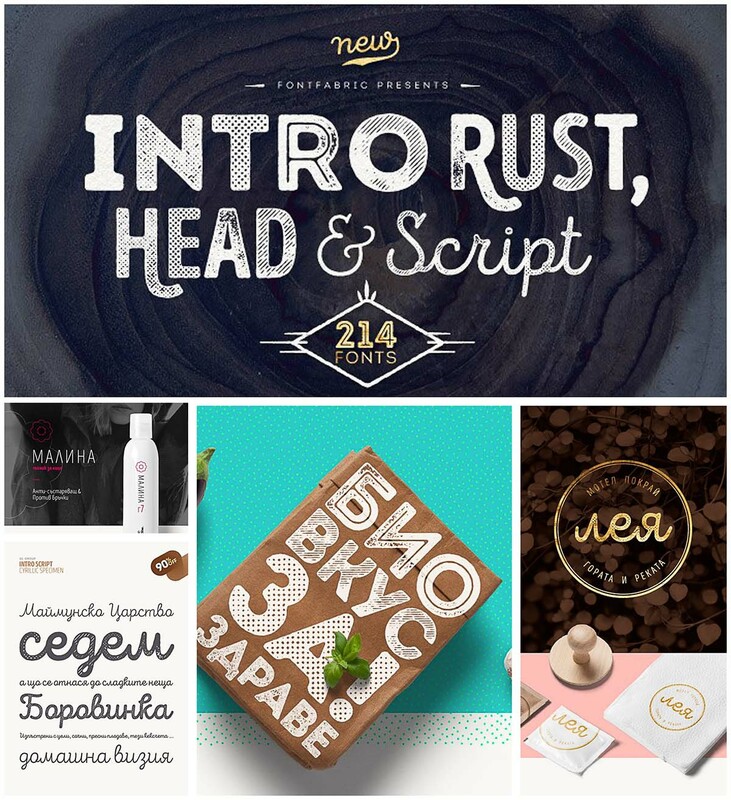 Tags: calligraphy, cyrillic, logo, script, typeface, typography.